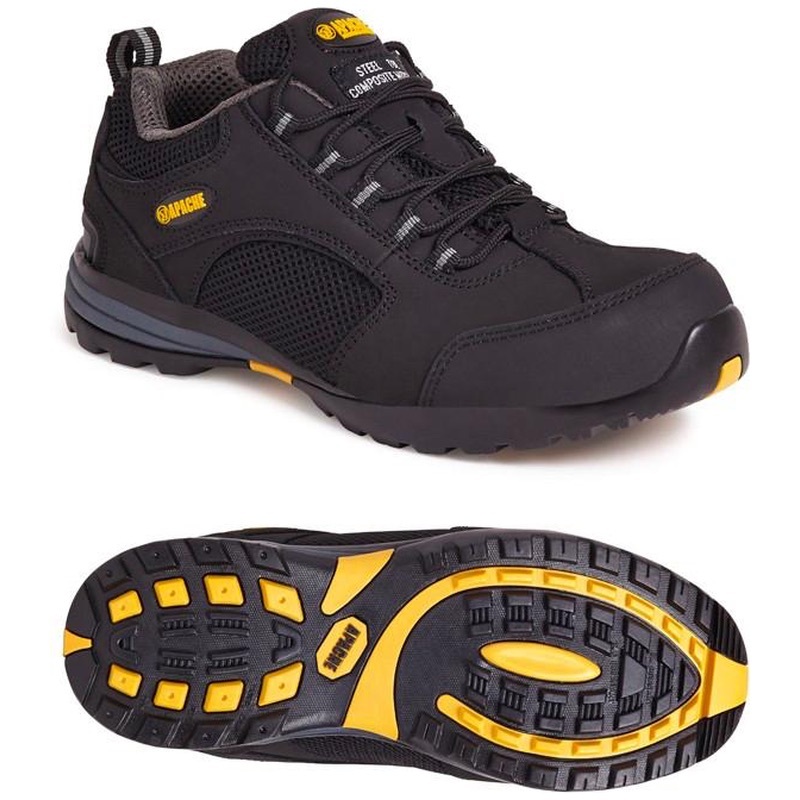 The Apache Workwear black nubuck/mesh safety trainer. 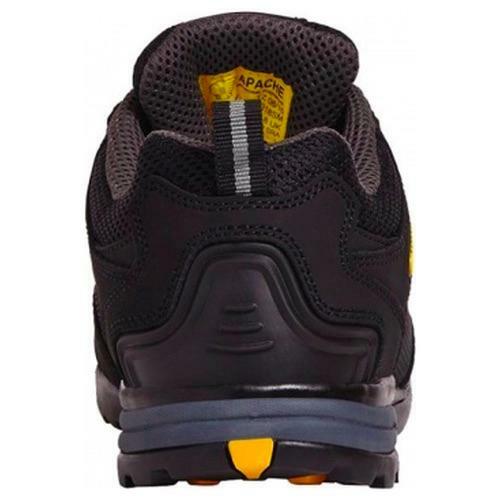 Padded collar and tongue for added comfort. Steel toe cap and steel midsole protection. Anti-scuff toe guard. Phylon/rubber outsole. Anti-static. A classic trainer style for light industrial use.